Epson has announced its new high-definition all-in-one photo printer – Epson Stylus Photo PX650, which specially designed for digital photography enthusiasts. The new Epson PX650 allows users to scan, copy and print photos that exceed lab quality. In addition, the printer comes with a 2.5-inch LCD screen which makes it an easy task for the user to perform minor edits before printing. Moreover, it also comes with a memory card slot, support PictBridge, printing photo in approximately 12 second. Apart from that, a 1200dpi resolution photo scanner captures the fine detail of original prints, whilst the Hi-Definition Epson Claria Photographic Ink creates high quality glossy photos which be able to prints that last up to 200 years. The PX650 can also print directly onto suitable CDs and DVDs. 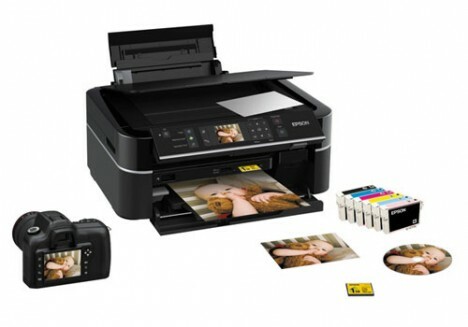 The new Epson Stylus Photo PX650 will be available on September 1st, 2009 from starting price $215 in the UK. Each purchase comes with a pack of photo paper.